Sleeping is often something most adults go without. The National Sleep Foundation recommends adults get 7-8 hours per night to feel rested . 48% of Americans have insomnia, and sleeping pills may often aid in a better night’s sleep. If however, that sleeping pills are used chronically to continue to aid in falling asleep, it can lead to increased use, tolerance, and addiction . Often times if individuals have substance-induced insomnia, where they use both alcohol and sleeping pills, various physical effects can occur, coma, and event death. If an individual uses sleeping pills and alcohol over a long period of time, it can have a negative effect on the quality and duration of sleep. Sleeping pills are classified as sedative hypnotics, that is used to induce or maintain sleep. Sedative hypnotics include benzodiazepines, barbiturates, and several hypnotics . These include brand names such as Xanax, Valium, Ativan, Librium, Halcoin, and Ambien to name a few. Benzodiazepines are anti-anxiety medications that can increase drowsiness and aid in sleep. These medicines can be potentially addictive and have been shown to cause issues with memory and attention . Barbiturates, work by depressing the central nervous system to increase sedation, and can slow brain activity . These are both short and long acting medicines and can be fatal if overdose occurs . There are numerous Dangers of Combining Alcohol With Sleeping Pills. Both alcohol and sleeping pills work to slow the central nervous system and impact major organ systems . The central nervous system is responsible for processing sensory information and responding to this information. It consists of two main components, the spinal cord and the brain . The spinal cord is a conduit for signals between the brain and body. It controls musculoskeletal responses. The brain is responsible for processing sensory information and coordinating body function, both on a unconscious and conscious level. Complex feelings, thoughts, and body regulation are also a part of the central nervous system . 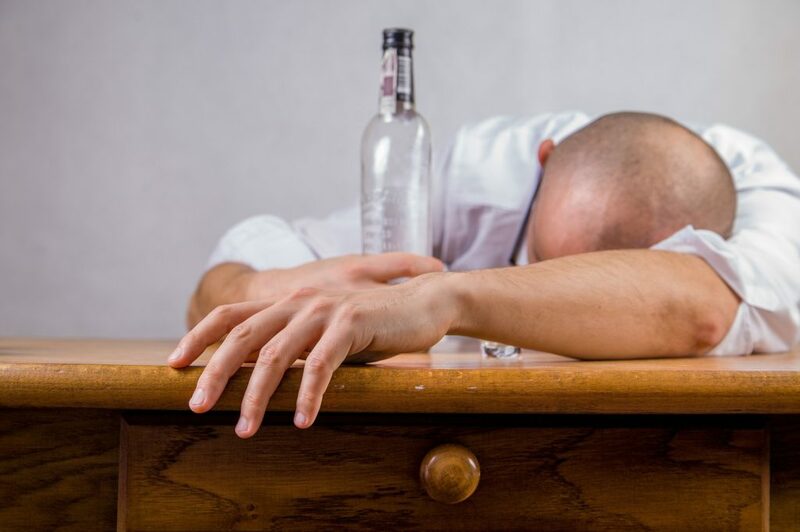 Combining alcohol with sleeping pills can ultimately lead to coma, brain damage, or death . Bizarre behaviors such as walking, talking, driving, sleep eating, have also been reported when combining these two substances . Many individuals (or family members) who report these symptoms do not recall engaging in any activity. Withdrawal symptoms can also occur which can include sweating, insomnia, tremors, nausea and vomiting, hallucinations, anxiety or panic, and seizures [2, 3]. If sleeping pills and alcohol are used chronically there can be long term effects that can lead to damage of the liver, kidney, brain, heart and pancreas. Both sleeping pills and alcohol, as noted above, can alter cognition and behavior. Another factor to consider with prolonged alcohol and sleeping pill abuse is the decrease of a person’s immune system. With weakened immune systems, a person’s body is more apt to contract diseases such as pneumonia, and tuberculosis. Even after 24 hours of being intoxicated, or drunk, a person’s body is still weakened enough to have difficulty warding off infections . According to the National Health and Nutrition Examination Survey , approximately 4% of adults aged 20 and over used sleeping pills and that percentage went up as education and age increased. Typically women use sleeping pills more than men in adulthood, up to 2.5% more . Sleeping pills were also found to be used more among adults who sleep less than 5 hours, over those who slept 9+ hours per night . In a study published by the Canadian Journal of Public Health, it reported that those who drove while under the influence of a sleeping pill and alcohol were more likely to weave and speed, even more so than if they had only consumed alcohol. 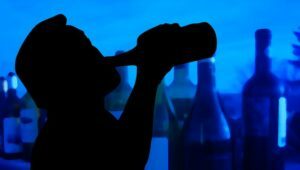 In another study published by the American Journal of Therapeutics, those who were admitted to emergency rooms after taking too many sleeping pills were twice as likely to be in ICU if they had also consumed alcohol . For those that feel they are addicted to combining sleeping pills with alcohol, there are treatment options available. There are both inpatient and outpatient services that offer therapeutic modalities. In inpatient facilities, individuals stay in a 24/7 facility on average for 30-90 days. Therapy is both individual, and group oriented . Outpatient treatment offers intensive outpatient and individual weekly therapy. This type of therapy typically consists of 20 hours a week. Regardless of which therapy you choose, most programs consist of medically assisted detoxification, behavioral and cognitive interventions, individual, group, and family therapy, 12-step programming, co-occurring mental health treatment, insomnia support and treatment, as well as relapse prevention, and aftercare services. In conclusion, the Dangers of Combining Alcohol with Sleeping Pills can have adverse, even deadly effects on a person. Both substances significantly increase the central nervous system functions, and significantly increase the sedative effects of both. Often times, taking too many pills, or drinking an excessive amount of alcohol can lead to coma or death. Combining sleeping pills with alcohol is a serious risk, and talk to your primary care doctor prior to starting any type of sleeping pill if you are concerned about drinking levels. Do you know anyone who has struggled with a sleeping pill and alcohol addiction? What have noticed has worked for reducing the likelihood of this combination? Reviewed By: Jacquelyn Ekern, MS, LPC on February 12, 2017.